The immanent total solar eclipse of 9 March at 03h58 Central African Time (01h58 GMT) occurs at 19 degrees of Pisces. We won’t get to see it in its totality this time, unless you’re in the Pacific of course, around Hawaii or Indonesia. Those in Northern India and Nepal will potentially be exposed to a partial eclipse at sunrise on the 9th, so the temples may actually be closed for the morning worship that day. It may be better to delay cooking or eating your breakfast until after the whole eclipse experience is over in that case. Other countries who could get a partial eclipse sighting include Indonesia, Malaysia, the Philippines, and Papua New Guinea, as well as Cambodia, Myanmar, Vietnam and Thailand who will see about 50% of the Sun partially eclipsed. Also Australia, China, Japan and Alaska who will see a less than 50% partial eclipse. Although the eclipse will remain total for 4mins 10sec, peaking at 01h58 GMT, the phenomena actually begins for some viewers before midnight on the 8th already, and goes on until 04h30 GMT before it is completely over. So temples in Africa should definitely delay even beginning to cook breakfast until after 06h30 local time. It is considered most inauspicious to prepare our eat a meal during any eclipse phenomena. In astronomical terms a solar eclipse occurs when the Moon passes between Earth and the Sun, thereby totally or partially obscuring the vision of the Sun for us on Earth. But this kind of thing happens every month so why don’t we have an eclipse every month? Well the Moon’s actual orbital path around the Earth is inclined at an angle of 5° to the Earth’s orbital plane (ecliptic) around the Sun, so the 3 bodies don’t always align exactly every month at the new moon. However, the points where the 2 orbital planes meet are called lunar nodes and a solar eclipse can only occur when a new Moon takes place near a lunar node and the triple alignment is exact. It is a case of simple geometry and shadows, not – as described in the Vedic texts millenia ago – a demon’s disembodied head swallowing the Sun. That unfortunately is pure allegory, and to believe otherwise is a symptom of naivete and ignorance of the facts available to us today. 10 000 telescopes can’t be wrong, by which I mean that there are thousands of professional and amateur astronomers across all countries of the earth today who are able to point their telescopes at the Moon and observe directly what is going on in the sky. 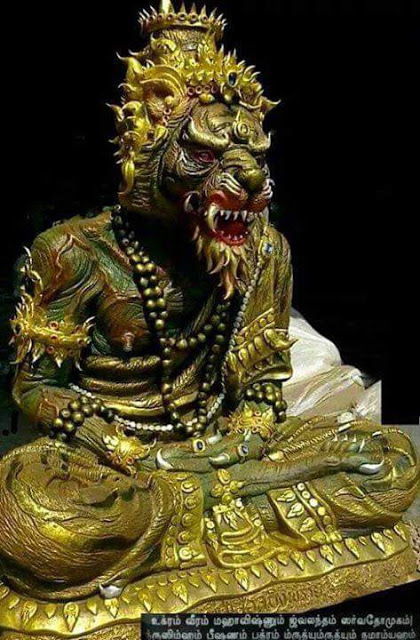 And so the proof is apparent to all that Rahu and Ketu – as the north and south nodes are called in the Vedas – are not even some other planetoids blocking the Sun either. That is an outdated speculation that no longer holds water in the age of the telescope. And these telescopes are huge. The Moon is but a stones throw away for some giant observatories, of which one of the biggest in the world’s happens to be just up the road from me, in the Karoo desert, in a town called Southerland if you want to prove it to yourself. Don’t let that eclipse your faith in the ancient Vedic texts though. Science is only now coming to the same conclusions about the nature of matter and the composition of the universe that the Vedas were presenting thousands of years ago, so it is a matter of interpretation, balanced with logic when hearing the Vedic conclusions. The Vedas are alluding to transcendent truths that our earth-bound minds will never comprehend via mere sense perception and logic, and this we require their illuminating insights to reveal to us the bigger picture of reality in that sense. But as for the Moon, that is now in the domain of science and technology, since Galileo several hundred years ago already, when even he was labelled heretical by the church for his contradictory scientific observations. Observations which eventually were undeniably accurate, forcing the church to rewrite its dogma of when the earth was created and just where it lies in God’s great galaxy. Another discovery by astronomers is that our Earth’s orbit around the Sun is not purely spherical or round but in fact elliptical, slightly stretched. So we are sometimes closer to the Sun (perihelion) and sometimes further from the Sun (aphelion) than usual. Simultaneously the Moon’s orbit around us is also elliptical and so our distance from the Sun and the Moon’s distance from Earth varies throughout the year. And as a result the Sun and Moon’s apparent sizes vary accordingly. That’s why the Moon does indeed occasionally appear bigger than usual to the naked eye. Also it is only when the Moon is closest to the Earth (lunar perigee) that it’s apparent size matches the Sun’s. And this is the only time a total solar eclipse can actually occur. So as you may have guessed, the Moon happens to be at that very point of perigee within 24 hours of the New Moon on the 9th. In the current trending vernacular this would then be known as a supermoon, although there is nothing super about it, except maybe it’s size. And of course it’s effect on the ocean tides, which will be more extreme than usual due to the increased gravitational pull. So watch out for that. And if it can affect the tides, what increased effect might it have on us? Let’s wait and see. Pisces, where the alignment occurs on the 9th, is a mutable water sign too, renowned for its increased sensitivity, emotional and psychic receptivity as well as the ability to access greater levels of transcendence. With Jupiter within one degree of an exact opposition to the conjuncting Sun and Moon, and thus also involved in the alignment, we can expect some degree of positive enthusiasm, as long as we don’t come across as self-righteous, and we avoid overdoing it. Indulgence and spending should be watched, and the potential positive Jupiter influence can then be harnessed for our spiritual or health benefit. Meeting the doctor, priest or teacher could be helpful as long as our own arrogance is kept in check. There is nothing worse than an over-inflated ego to blind us to the insights that could be offered from such a beneficial meeting. So good luck with that. Amongst astrologers – as amongst lawyers – there is no truth, only opinion. Even in science, half of what is being taught today will become irrelevant or actually incorrect in a few years. This is particularly true of the social sciences like psychology and sociology. And astrology may want to fit itself into that category. If even in science, which is a matter of evidence, half of what we know today will be wrong tomorrow (just look at the history of science up until now) then what can we say about astrology, which continues to use systems thought scientific over two thousand yeas ago? Yet still we pursue astrology as if it were a source of enlightenment based on truth. Of course, the fundamentals of the astrological art have remained the same and always will. The 12 signs, four elements, etc, are the cornerstones of the system since the time of Ptolemy or Jaimini. Nevertheless, modern research and advancement in astronomy clearly shows that astrology is not scientific as such. As to who divided the stellar sky into the particular signs of the zodiac, designated certain quadrants of the heavens into their particular categories – the 12 houses – and so on… we can only presume that ancient scientists who ascribed these labels did so based on their observation of the planets positions and the events on the ground. And as further generations of observers came along, they added to that based on further observation. Even if the astrological fundamentals are written in sacred texts, the Brihad Parashara Hora Shastra for example, perhaps handed down from some transcendent source with greater insight than us terrestrials, still we can only fathom its depths according to our limited mind and senses. And in astrology there is so much room for speculation, interpretation and concoction. And there are so many variables and angles of approach or analysis that accuracy is never guaranteed. Yet still astrologers prognosticate, people inquire and blindly accept what is presented, despite not knowing the validity of the source of the information being presented. Any arbitrary website can sprout predictions about your day ahead or speculate on the signs of the times, and we accept it for some unknown reason. Any quack can put on a white coat and prescribe medicine to you for your disease, but will you take it? Probably yes, if s/he has a good bedside manner or a skill with word jugglery. As the saying goes: ‘A little bit of knowledge can be a dangerous thing.” Ultimately it boils down to the person from whom we are hearing or receiving the knowledge or information. The placebo effect has been known to work wonders. In the Middle Ages, and even subsequently, Catholicism would occasionally stumble across a cave or deity that was apparently able to perform miracles. A person would go there, pray and be healed of their malady. The news would go round and before you know it thousands are flocking to the place looking for solace. And sometimes it worked. And so it will, perhaps more because of the faith of the seeker in the place or the person who gave them the knowledge, the conviction and belief, more than the cave or deity of Mary herself. And of course as the rumours of miracles increase, so does the faith of the flock, and thus the reputation builds. I’m not saying miracles don’t happen. I am a firm believer in miracles. But is it the object of veneration or is it more the eye and mindset of the beholder that is responsible? Religion, like astrology is all about faith. Put your faith in the doctrine, or more easily in the propounder of the doctrine, and you lay the appropriate foundation in the mind for a successful outcome. So often we are projecting onto the external environment our own inner subjective psychic focus, our attention, and then are amazed when the object reciprocates with us, fulfils our wishes or rings true somehow. Even the so-called “conversion experience” is a known psychological state of mind that can happen to anyone in any walk of life, like Saul on the road to Damascus. The triggers may be varied, but the psychic shift in consciousness can be just as healthy for the seeker on any path. Don’t get me wrong, I love astrology. It spontaneously appealed to me as a teenager over three decades ago and so I took to it like a seeker to the philosopher’s stone. Our brains are all wired to seek and see patterns, to seek meaning, and religions and systems like astrology provide us with just that. So naturally they appeal. We also all want to know about ourselves, to see our future, so naturally astrology still appeals to many, but at the end of the day the dynamics of why such systems seem to work may be different to what we think. It may not be the system we have incorporated into our lives that is the source of our answers, but rather our own minds and what they read into the system. Based on my experience, I’ve realized that one cannot become a fundamentalist about any such abstract concepts or systems of thought. Many zealots over the millennia have had their magic spells and words of power, names of God and talismans, like fragments of the cross, tooth of a saint, etc and due to their faith those have worked for them, even when the names or totems were as diverse as the religions of the world. For example where is Athena today, that great goddess that was worshipped in Rome or Greece in past ages? Her devotees are no more. So does she still exist? What about Isis? I mean the original one, not the fake terrorist group created by the CIA and Mossad to destabilise the Middle East and loot resources for Nato. Similarly in the art of astrology, once practised by scientists and priests of old, much detail that was once used is now lost or forgotten. So how do we know that we are even using it properly, or making accurate predictions or assumptions when our knowledge is so fragmentary. And yet still it works today as a panacea for many who need psychological insight, perspective or meaning in their lives. In other words, the system may be arbitrary, fragmented or even imaginary (as in Chaos Magic), but if the bedside manner of the astrologer (or priest on any path) is appropriate, people will find solace, meaning, courage or whatever they need to grow as individuals and become better people for it. And that’s my two Rupees worth on the subject. As much as finding the right source of your information is important, even amongst academics and scholars there is a tendency to redundancy with time, especially in science. And as much as going to the original texts may be preferable, even there, how do we know we have all the data, the correct translation, or that some Dead Sea Scrolls may not suddenly be discovered one day telling us Jesus our Lord was actually a married black vegetarian. So much has been lost in translation or the mists of time, including those traditions with a disciplic succession. Ultimately it boils down to the person from whom you are hearing on the day, as well as how you and your mind interpret and apply the information presented. And both are required and need to be potent, authentic and sincere for the magic to happen. The rest is just detail. When considering Western astrology (tropical zodiac) versus Vedic astrology or Jyotish (siderial zodiac), one may ask, “what’s the difference?” Well to be exact, the difference between the tropical and siderial zodiac is 23 degrees. That is the fundamental difference in the zodiac wheel of 360 degrees. If we go back around 1500 – 2000 years we see that the two zodiac systems were aligned. However, due to the precession of the equinox, which moves at around 1 degree every 70 years, the alignment has drifted to about 23 degrees apart. So for example any planet within the first 23 degrees of a sign of the tropical Western zodiac, will appear back in the previous sign of the siderial Vedic zodiac wheel. 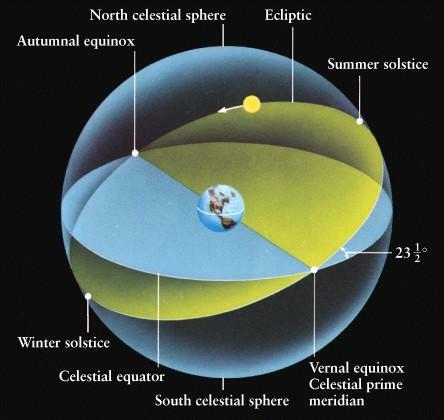 The precession of the equinox is a 26000 year cycle, where the earth wobbles on its axis, and thus the two zodiac systems would realign every 26000 years, when the wobble came back full circle to its original position. By staying true to the positions in the heavens of planets used thousands of years ago, the western system has moved out of alignment with the actual literal or real zodiac used by Jyotish and by astronomers globally. So the Vedic positioning of the planets is the accurate one literally speaking, and yet both systems have revealed themselves to be remarkably meaningful and valuable in their results. One can only wonder about this. A secondary or more general difference between Western astrology and Vedic astrology is that the Vedic astrologer focuses primarily on prediction, or the client’s future fame, fortune, and finances, whereas the Western astrologer also focuses – ironically – on analysing personality, talents, potential character and abilities. This appears contradictory to the general understanding that the Vedic wisdom usually discusses one’s true nature, original identity and self-realization, while the west is usually more preoccupied with mundane future potential success or failure. Well it is rather paradoxical that roles seem to be reversed here, but the reason for this is that the West is so much more aligned with the notion of “free will”, where individuals make their own fate and fortune based on their personal desires and choices. On the other hand, the Vedic culture, which has worked for thousands of years with Jyotish as a system largely used for prediction, is steeped in a tradition of predestiny, where according to the caste system, one is born into a certain role, like servant or merchant, based on the father’s position, and that is where one stays. So there is much less room for using free will or conscious choice to make one’s fate or build character. So whereas it initially appears as if Jyotish has the more accurate approach to astrological interpretation, now it seems as if the western analysis which gives details as to one’s personality with its strengths and flaws, seems to be the more appropriate or meaningful one. There are other differences in the two systems, like the use of the recently discovered outer planets – Uranus, Neptune and Pluto – by Western astrology, but not by Jyotish. These outer planets were, of course, never visible until the invention of the telescope in the west. Still further asteroids – like Chiron, Juno, etc – have also been discovered and named in recent years, and some contemporary astrologers are incorporating their use and interpretation into horoscope analyses too. Jyotish, on the other hand, uses the 27 Nakshatra divisions, or lunar mansions of 13.5 degrees each, to divide up and interpret the horoscope. Thus there are various similarities and also differences in the two astrological systems, and the modern astrologer can happily incorporate both into his or her analysis of any individual. Vedic literature had such a vast library of instruction into the self, the identity and one’s role in the cosmos, that astrology was not needed to understand oneself, but was simply used as a tool of prognostication and prediction for the future of the person in question. The West, on the other hand, had much less instruction into the nature of consciousness, identity and selfhood, that until the advent of modern psychology, astrology was used by alchemists and doctors to analyse the person according to the horoscope with its four elements and corresponding humours (choleric, sanguine, phlegmatic and melancholic). Modern psychological research has subsequently discovered and constructed a system of psychoanalysis, which some find corresponds with astrology and can be used in tandem when analysing personality. And as we advance, we are coming almost full circle, as modern research now sometimes echoes ancient instructions as to the nature of matter, self and consciousness. Ultimately it seems that as long as one is sincere in wishing to discover the true meaning of life, the true nature of oneself, one will find answers in either system. Even Vedic culture, when seen from a mundane point of view, without accurate spiritual interpretation, can appear incomplete or can limit one to a caste system that traps us in a totally unnecessary mould, based on birth. It is only when we understand the transcendent wisdom of Vedanta that we see destiny to be based not on birth, but on qualities and actions, as stated in Bhagavad Gita. And likewise even modern western psychology is based to a degree on speculation which results in forever revising and reviewing its analysis of consciousness, whereas Vedanta has always had the inside track on that core crucial subject matter. So ultimately astrology, whether western or Vedic, should always be seen in perspective, or in relation to real self-awareness or self-realization, which identifies one as existing before this horoscopic birth, as beyond the limitations and paradigms of the birth chart alone. Nevertheless, if you have your exact time of birth, for both systems are adamant about that foundation, then astrology can aid one in a mundane understanding of personality, and thus like a mirror held up to our ego, reflect back at us what we instinctively already know, but find comfort in re-membering when presented from an apparently objective outside source. New Moon in Sagittarius, what happened to my Guru? Today’s New Moon occurs as the Moon aligns with the Sun in the fire sign of Sagittarius. The ruling planet of Sagittarius, Jupiter, is known in Jyotish or Vedic astrology as Guru, and Jupiter is currently making a square or 90 degree alignment to the New Moon luminaries today. In other words philosophical debates, particularly around the subject of religion, God and guru make take prominence in the minds of those so inclined. Internet publications – also inspired by this new Moon in Sagittarius – from across the global village, focus on the role or God or guru in today’s world. With the challenging square aspect from Jupiter – Planet Guru – questions and challenges arise as to the validity, authenticity and pertinence of these Godmen and their Gods, so adored by some and vilified by others. With Chiron, the recently incorporated asteroid of the zodiac, making an opposition to Jupiter, and thus completing a square aspect to the New Moon, in a mutable T-square, it seems the guru of today has been wounded, is suffering from quite some level of disrepute and in need of healing. Of course, even Nigella Lawson, the famous chef, is the guru of chocolate cake and all other such sweet treats, but even she is been critiqued for her stance against modern eating trends like “gluten-free” and “lactose-free”, saying that these overly particular diets are taking the subject too far. But then a cake guru would say something like that. Everyone has a guru of some sort in whatever field they engage; the term has simply been adopted into mainstream jargon to describe an expert in any field who may be worth emulating. Certainly you can’t have your cake and eat it. Or you can’t please everyone. Different cakes involve different stakes, and some have their health at stake. Some gurus will turn out to be fake, especially the Godman type, who proclaim themselves to be an avatar of God, a Pope or Messiah meant to be the transcendental via-medium to the Source, if not the Source itself. And at this New Moon we may be obliged to reflect on our philosophical stance to life, our judgement call on what is right and true. And that stance is often one that we learn from the guru in that very field, someone who has propounded the way, and who seems to ring true to us in their version of reality. So be prepared to inspect your sacred cows at this time and check them for discrepancies, for sometimes the herd needs purifying, particularly if bugs infiltrate and poison the lot. It only takes one bent Bishop, one sacrilegious Swami, to ruin the entire reputation of the system involved, and indeed there have been numerous of those already. Some of us may then throw the entire lot out, dump the very cause that was once the foundation of our philosophical outlook on life, the universe and everything, perhaps leaving a vacuum that goes unnoticed, but somehow leaves us the weaker for it structurally. This is where times like these can become moments of inspiration too though. For when the disciple is ready, the guru will appear. When the cup has been emptied, the space awaits a new fulfilment. Use this New Moon opportunity to look within as well as without and test those who preach the way by looking at the symptoms of their actions and words. Spend the next lunar cycle cultivating a critical eye (Jupiter now in Virgo) as to the right guide in the important fields of your life, whether health and healing, or the science of consciousness, and heal the jaded edges left by previous amputations, thus planting new seeds of inspirational role models to blossom in the heart’s core, or mind’s eye. One good soul can launch a thousand web pages of insight for those with the ears to hear.